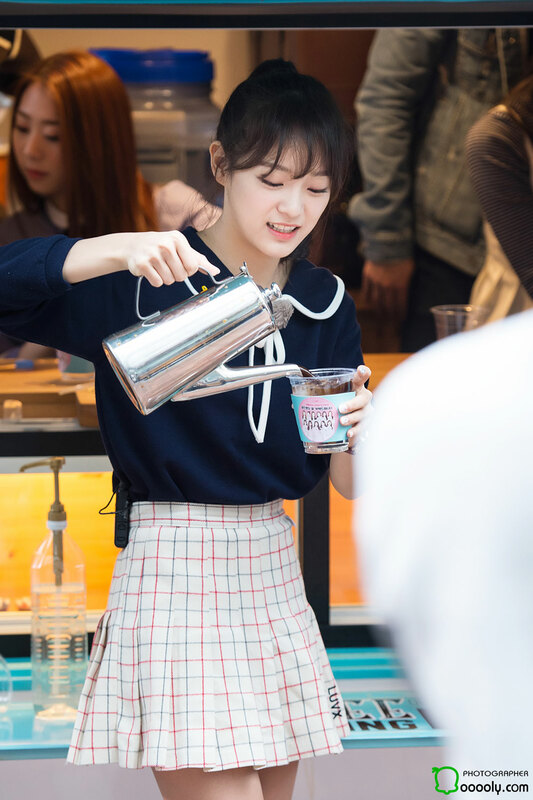 Girl group I.O.I serving some drinks at a mini fanmeet on April 16th, 2016. IOI is a project group born from Produce 101, an MNET survival show in which 11 girls were chosen out of 101 trainees from various talent agencies. The group will be active for a year; and the members will return to respective agencies after that. Mina of MNET’s talent-survival show Sixteen at a street promotion event on June 10, 2015. The Japanese girl is one of the 16 trainees competing for a spot in JYP Entertainment’s upcoming female pop group, tentatively known as Twice. Korean girl group 2EYES (투아이즈) recording Mnet Idol Battle TV show on January 10, 2014. The survival show pits two Kpop rookie idol groups in each episode to compete against each other in various challenges.